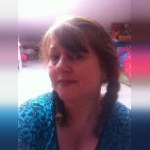 Hi, my name is Ellie, I am a very experienced nanny of 25yrs years. I have all relevant childcare qualifications and excellent references from previous employers. At the beginning of my career I worked in several nursery establishments before deciding to take the big step into working as a children's Nanny. I have a massive amount of experience and have cared for a handful of families over my 25yr career although I have stayed with the families for many yrs. I can provide excellent references from previous employers if required. On leaving school I trained for 4yrs and became a fully qualified chef. once I started to have my own family I found the catering profession very challenging with having such young children, so decided to train in the wonderful world of childcare. I take my job seriously and the wellbeing of every child in my care is treated with the upmost respect. my fee is £10 per hour, this covers a combination of childcare, household tasks and fuel. please feel free to contact me at anytime for a chat regarding your childcare requirements. 25 plus yrs caring for children as a professional Nanny. available full time , evenings, weekends also overnight stays. £10 per hr which covers a combination of childcare, household tasks and fuel. Below are the latest reviews for nannymcp. Please note that reviews represent the subjective opinions of other Childcare.co.uk users and not of Childcare.co.uk. Parents must carry out their own checks and references on childcare providers to ensure that they are completely happy before enaging in the use of their services. Ellie worked with us for 3 years. In that time she became like my right arm. Nothing was a problem for Ellie and my children loved her instantly. Ellie had sole charge of everything while my husband and I worked long hours. She was never absent in the whole time she was with us, always punctual, extremly trustworthy, honest, caring and kind, Ellie was very organised. Being a former chef, Ellie cooked the most amazing meals for the whole family. She also seen to all the laundry, ironing, shopping, changing of beds etc. My kids were never short of things to do when Ellie was around. We as a family would definitely recommend Ellie for nanny/housekeeping position.